Aileen Lee got it right: social proof is the new marketing. But this really shouldn’t be any surprise to any of us. When the Internet leveled the playing field and took away big advertisers’ information edge…we stopped believing what they said and started looking for others to tell us what we should do, buy or think. Yet, if you think about it, we’ve always looked to our friends for advice, mechanics we trust to work on our cars and lawyers…well…maybe that last one is a bit of a stretch. Regardless, what Aileen has picked up on is that social proof is now THE thing marketers use to influence the way people do, buy or think, even though social proof isn’t really new to marketing. 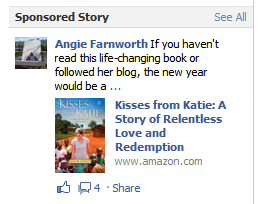 Last year Facebook rolled out it’s Sponsored Story feature. This feature allows advertisers to elevate likes, check-ins, posts and actions within custom applications to a sponsored status, seen on the right hand side of your friends Facebook screen. In fact, it shows up in all of my wife’s friend’s feeds. 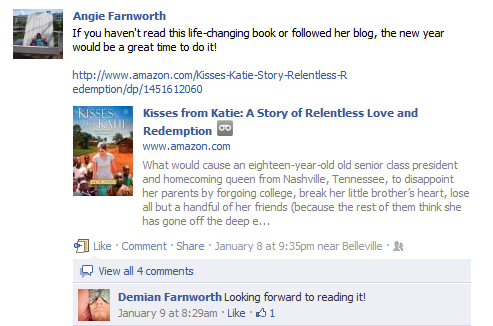 And when friends see that recommendation this is social proof in action. One Facebook engineer said that the feature increased brand lift, namely ad recall and likeness to recommend, among their pilot partners [Coke, Levi’s, Playfish and Aneheuser Busch]…again, proving that recommendations for products that come from friends are worth more. In his Forbes article, writer Michael Elsberg asks us to take a little pop quiz: Which is more likely to create a firestorm of sales for your book? If you said, “c” you would be right. Like Oprah before she threw in the towel, Tim Ferriss and his blog can make a career. This is called expert social proof, and leverages the influence a high-profile authority has. As if it’s two famous founders, Sean Parker and Shawn Fanning were not enough, SupYo leveraged that same sort of influence when it noted on it’s landing page that TechCrunch had reported on the startup. 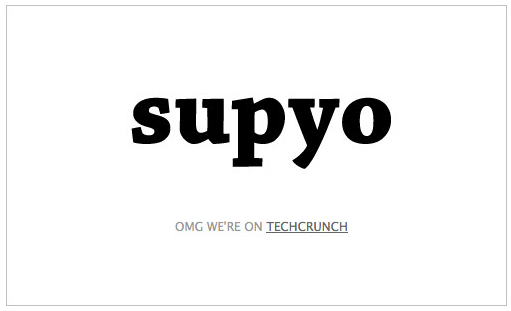 SupYo has since added an email sub form. The social app Klout went head-long into the expert social proof space by creating a tool that measures people’s relative influence. I say relative because Klout cannot measure those who are not a member, so it really becomes a game among those inside. 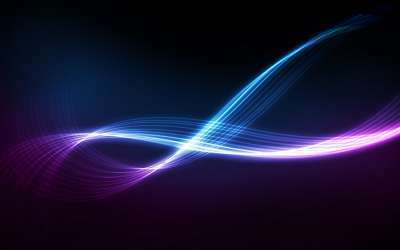 Furthermore, it only measures those social sites in which you share information. 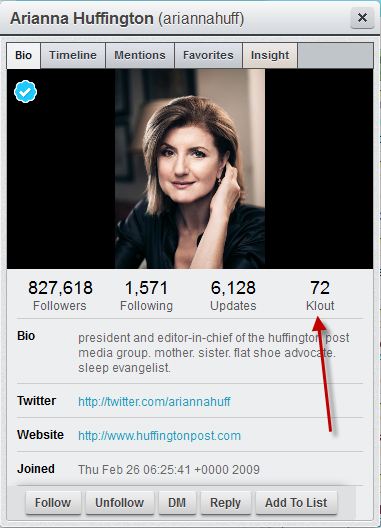 Among the metrics it uses to determine someone’s Klout score include True Reach, Amplification and Network Impact. As inaccurate as Klout may be, you have to give it to them: their appeal to our vanity makes adoption of the product easy. Who doesn’t want to know how he or she measures up to a Robert Scoble, Lady Gaga or Arianna Huffington? Your Klout score also serves as a feedback loop. When you see your Klout score drop, you are motivated to use social media more. When you see you are gaining on Mark Zuckerberg you set your teeth and knock out 100 more tweets before you hit the sack. The user site Yelp is designed to help people living in cities to find interesting and fun places to eat, shop and drink…or lame and awful places to avoid. 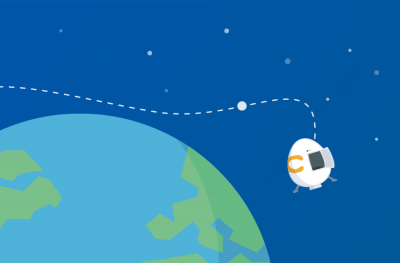 The premise is simple: users leave reviews and check these reviews before they go somewhere. Three stars. Meh. Probably overpriced. I’ll go somewhere else. Nothing really new there, but Yelp innovates the customer review by turning into a social site people can interact with other users…complete with profiles, updates and even the user of the day profile. If it sounds like Facebok for the foodie…yeah, in a way it is. But it’s also a place where people go to make decisions about where they want to eat, drink or shop…so it’s social proof at its core. Social proof is all about the wisdom of the crowds, so it’s no surprise that bloggers started picking up on the value of promoting the number of subscribers they have. The more you have the better. Prospects will look at your site, evaluate whether they should subscribe or not based upon many factors, one of them being how many subscribers you have. 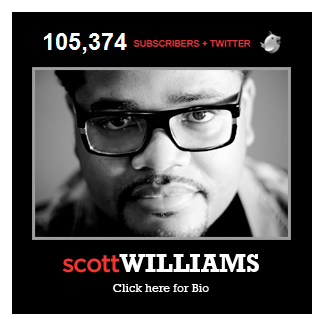 Scott has over 104,ooo Twitter followers leaving room for about a thousand blog subscribers. Nothing to sneeze at, but it’s shady the way he promotes it. Robert Scoble pointed out on Aileen Lee’s article how the number of Facebook fans he has is a form of social proof. At the time of the article, November 27, 2011, he only had 66,000. He now has over 106,000. Would you listen to recommendations from Robert Scoble? Imagine you are deeply in debt. Hate your job. And are freaking tired of skimpy. 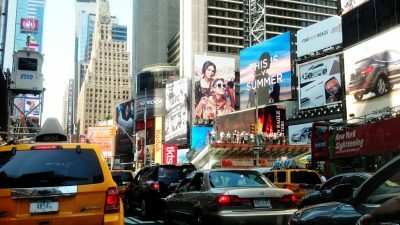 This is Ramit Sethi’s blog I Will Teach You to be Rich. So here’s my question: Are you going to listen to this guy? Do you trust him? Do you think he knows what he’s saying? Yes. Yes. And yes. But why? It’s because every big media company you can think of has endorsed him some capacity. He’s expertise is not in doubt. That is social proof on steroids. Positive comments about you, your company or product are social proof. While it’s not from a friend or family member, it’s another endorsement that says this person or product is trustworthy. 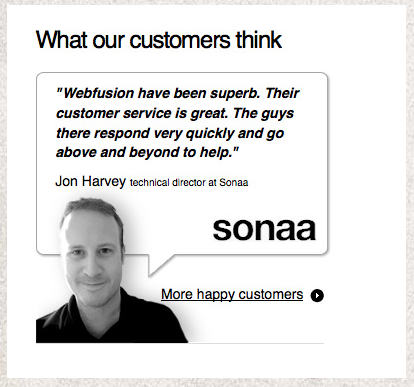 Stick a picture with a full name and address on your testimonials page, and you’ve got social proof. The more the merrier. I’m not exactly sure this falls in the brilliant category…it really depends on which side of the fence you are sitting on. For the advertiser, purchasing a tweet that mentions their product and then re-tweeting it in their stream as a “promoted tweet” is a fascinating idea…one that takes advantage of the force of social proof. 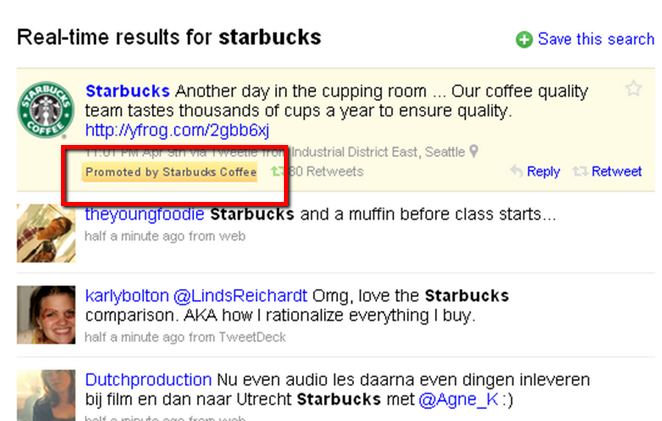 Holy small mother of large children, your friend’s tweet just showed up in Starbuck’s feed! I guess if people are willing to pay for something like that…why not let them? Besides, Twitter needs to create a revenue stream. But that’s a rabbit hole we won’t go down right now. Noble idea. Not sure how well it works out in practice. You can’t argue with the fact that the tweet is seen at the top of some of Twitter.com search results pages and other partners in Twitter’s ecosystem. And users may see a tweet that has been promoted in the search results when they click “Promoted Trend.” And in other cases this promoted tweet can be seen in a user’s timeline. Only if it is relevant. In my mind, though, that’s really just the ticket to get in the game. What do you think? Social proof is powerful stuff folks. And it’s everywhere you look on today’s social web. 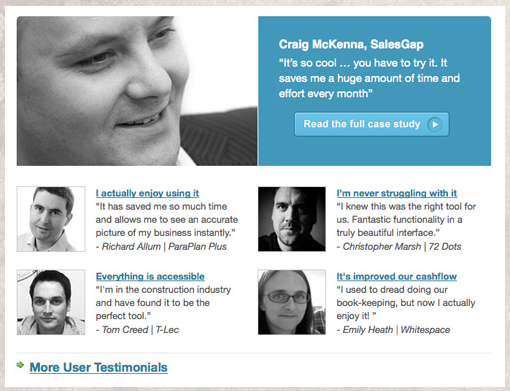 What brilliant examples of social proof have you seen around the web?